Do you have running or racing goals, or just want to find a great training group? RunMN’s Run Club and Race Team strives to be all inclusive, welcoming runners of all ages and abilities. We have a place for you! Contact us or stop in to learn more! 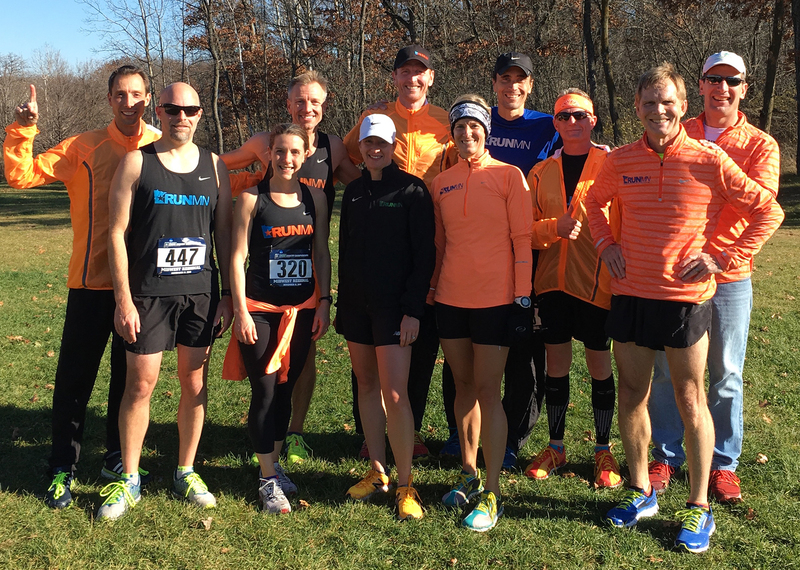 “The Minnesota running community is pretty special. The Twin Cities in particular has a significant number of club teams that offer runners from beginner to elite an opportunity to compete at their own level. I joined my first running club in 2010 and represented them for 5 years. The experience was outstanding and helped define me as a runner. But I was looking for something more….and I found it! In 2015 I joined the RunMN team, led by the legendary Kelly Mortenson. I met Kelly through snowshoe racing and asked if I could join his team. He replied “absolutely and invite your lovely wife, Katy to join too”. The team camaraderie was outstanding from the beginning. We had group long runs and everyone was included, ladies and men. No one was left behind. We warmed up together then would naturally divvy up depending on what pace you felt comfortable with. We encouraged each other during our track or road workouts. As runners we all share a common interest, we all like to run! Each of us have different goals, motivation can wax and wane, but there is something more with RunMN, something that bonds us together as a team. And I know what “it” is….Kelly Mortenson! To me, Kelly is an inspiration, a motivator. Not only are the members of RunMN drawn to him, but a large number of the running community also seek him out. There are a whole lot of reasons for this magnetic attraction, but I think the biggest is that Kelly cares.” ~ Rob C.
“WOW. Stands for “Work out Wednesday”. And it’s my favorite part about the Club RunMN team. Kelly sets the workout, we all meet at Flex Appeal and go from there. No matter your ability, you can push yourself. But the best part is that the whole team encourages you – even if you’re struggling to put in 100 second qtr on the track, those guys that just ran it in 75 seconds are there encouraging you. And you feel awesome. And ageless. Like your back on the team.” ~ Katy C.